European Championships: What's Happening & What Should We Expect? The European Championships: What’s Happening & What Should We Expect? Berlin and Glasgow’s shared European Championships is not yet a week old but already it has thrown up a host of compelling moments. Team GB has already taken 23 medals, including eight golds to place them second in the rankings, below only Russia. They leapfrogged Italy last night with Monday throwing up six medals in total. So, who are the real winners of the tournament so far and what can we expect to see between now and August 12th, in the capital of Germany and Scotland’s second city. Glasgow is home to aquatics, cycling, golf, gymnastics, rowing and the triathlon, while athletics will take place in Berlin from Tuesday onwards. Here’s what’s been happening in Glasgow and what to expect from Berlin. One-third of the Kenny household struck gold, as Great Britain’s Laura Kenny added her 11th and 12th European titles. She showed that motherhood had not culled her competitive streak as she helped Team GB ‘s Elinor Barker, Katie Archibald and Neah Evans to a team pursuit gold medal, and followed it up with an individual gold in the women’s elimination race. From one Kenny (and one cyclist) to another, Laura’s husband Jason Kenny returned to the cycling track too but didn’t fare quite as well, as the men’s Team GB failed to make the second round of the team sprint. Katie Archibald earned her third medal of the games in a tight ‘two-horse race’ in the women’s omnium. After a brave attack proved fruitless she took silver behind serial world champion, Kirsten Wild who produced a masterclass in the velodrome on Monday. Katie Archibald will get one last chance to take gold in her home city of Glasgow when she pairs up with Laura Kenny for the Madison in what could be an extraordinary partnership, and certainly one that could take the roof off the Sir Chris Hoy Velodrome. 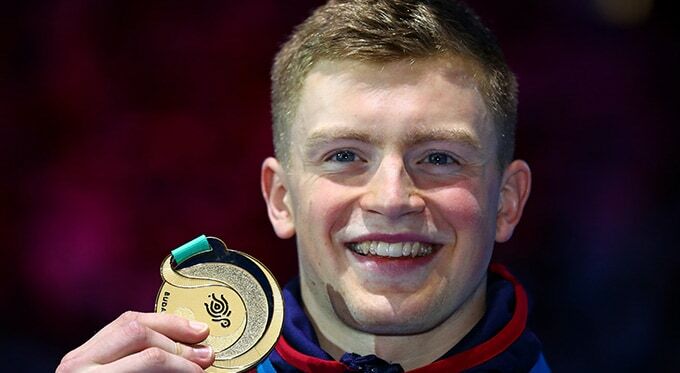 Elsewhere, in swimming, Adam Peaty has been doing what he does best. The British swimmer earned a new world record in the 100m breaststroke beating his own record by 0.13 seconds. Technical problems took that record away from Adam briefly before the timing error was dealt with and his world record stood. In the women’s 50m backstroke, Georgia Davies took gold to kickstart a pool of medals for GB. The men’s 4x200m freestyle relay team followed this up with a dynamic swim to claim gold before Duncan Scott of the relay team managed a sliver of his own in the 100m freestyle on Sunday. Team GB again clubbed together to win gold in the mixed 4x100m medley relay with a star-studded team of Adam Peaty, Nick Pyle, Charlotte Atkinson and Freya Anderson. James Wilby meanwhile won the men’s 200m breaststroke to top another strong day in the pool on Monday. Sophie Wright showed her mettle when she entertained revellers by taking to the front of the 120 km road race, gaining a three-minute lead with 60km to go, before the chasing pack caught up with the nineteen-year-old. Italian Marta Bastianelli eventually fought off competition from Vos and Brennauer to take gold. In rowing, the men’s fours and the women’s eights both took silver, while Sam Mottram also took home bronze from the men’s single scull, and Harry Leask and Jack Beaumont won the men’s double scull. For a breakdown of all the British athletics results so far, visit the BBC Medal Table. With sprint superstar, Usain Bolt having retired, there is space for a new men’s sprinter to take to the world stage. And with the European Championships naturally excluding the top sprinters from the Americas, it is perhaps time that a European sprinter makes a name for themselves. 22 and 23-year-old Britons, Reece Prescod and Zharnel Hughes are both considered to have a strong chance of winning. Dina Asher-Smith is expected to be on the podium in the women’s 100m sprint, meaning Team GB could claim Europe’s fastest male and female sprinters. That would represent a wow moment in British athletics. Laura Muir is a favourite in the women’s 1500m while Chris O’Hare is expected to run the competition into the ground in the men’s 1500m. Though Norwegian brother’s, Filip and Jakob Ingebrigtsen are likely to provide stern competition for him. 20-year-old 10,000m runner, Alex Yee has long been on the radar of UK athletics. He is running at a faster pace than Sir Mo Farah was at his age. Can this future star build on his strong start to the year and take home a medal at this championship? 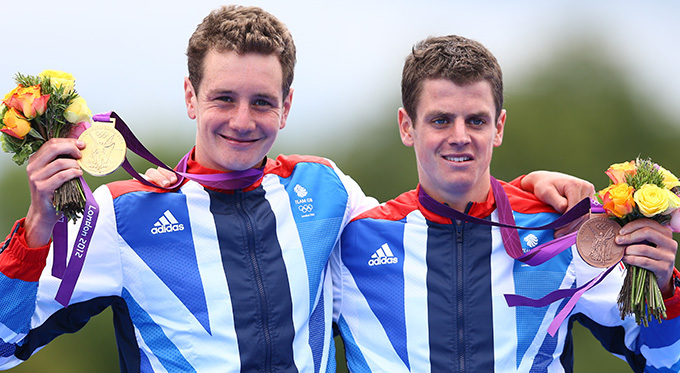 Alistair Brownlee is back fit and therefore it is no surprise that he is one of the favourites in the men’s triathlon on Saturday, alongside strong runners like Marc Austin. The women are said to be in a good way too, with Jessica Learmonth a defending champion in the competition. On Sunday, the eyes of the nation will turn to Mark Cavendish as he looks to put his early exit from the Tour De France behind him to win the men’s road race. Home to a vast roster of Olympic Speakers, here at the Champions Speakers agency, we provide your event with true star quality. To book for a corporate event, function or conference, simply contact us by filling in our online contact form or by calling a booking agent directly on 01509 85 29 27.